One of our goals at TCM is education. 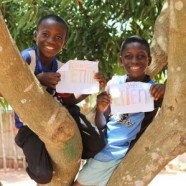 The reason why one of our programs is education is that, 48% of the population in Togo is under the age of eighteen. Our Christian School exists to reassure the children and their family that there is hope in Lord. The children will receive quality education and grow to be godly people and can have a big godly influence in the community and beyond. The way the children’s lives change also impacts the parents to come and find out about the school. This opens doors for sharing the gospel to the parents too. On the whole the Christian School exists to impact the 48% of the population that are under the age of 18 and their families for Christ. We used to have school in the Church building and in a small shelter, the school started with 81 students enrolled. We are now extended from 1st grade to 6th grade. We also finished building our middle school which has for 4 classes ( 7th, 8th, 9th and 10th grade.) Praise the Lord! With our current funding for the school we only opened 7th grade for the middle school. We are always seeking student sponsors to help our children cover the cost of their schooling. We currently have 230 students 1st grade through 7th grade enrolled in our school. We seek to build a firm foundation in Christ for the youth in our area. 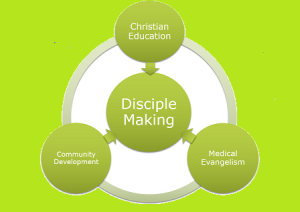 The way we seek to do this is through Sunday School Outreach, VBS in surrounding villages, Discipleships, and our Christian School.